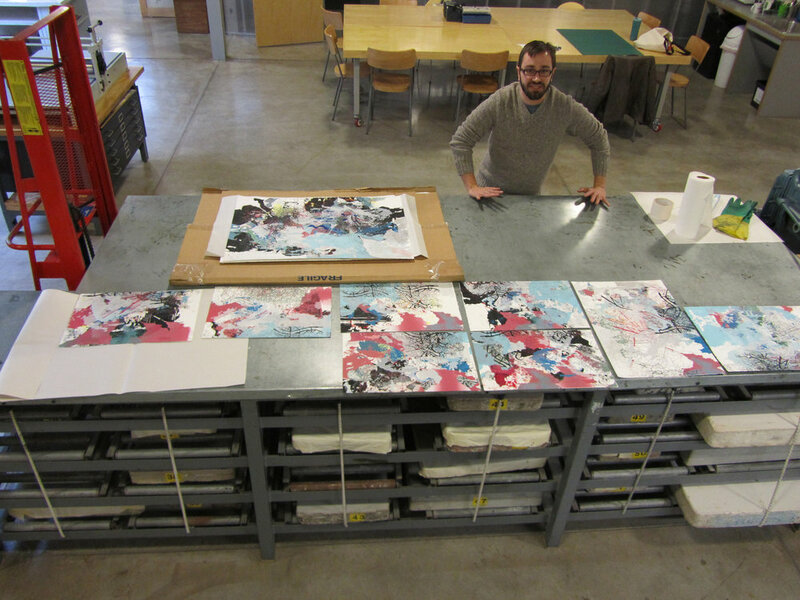 Highpoint hosts three Minnesota printmakers each year in our Jerome Emerging Printmakers Residency. 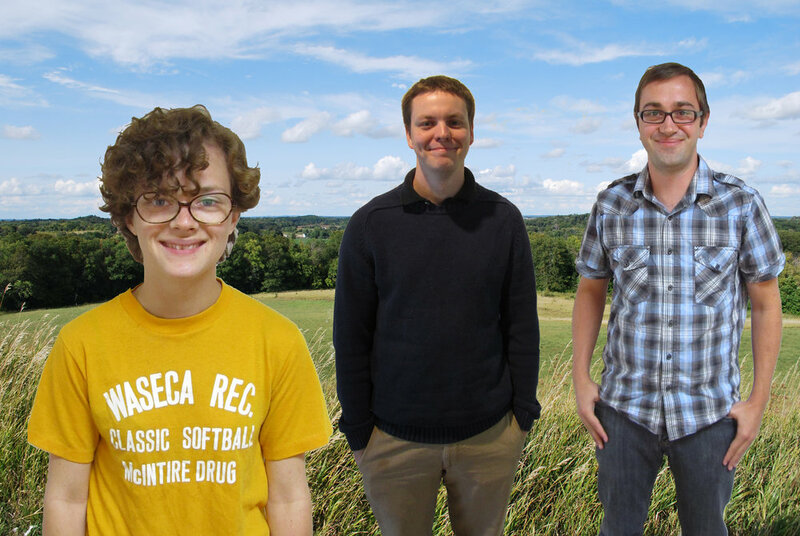 In September 2011, Gwendolyn Comings, Jonathan McFadden,and Graham Judd were welcomed in to HP’s print facilities. 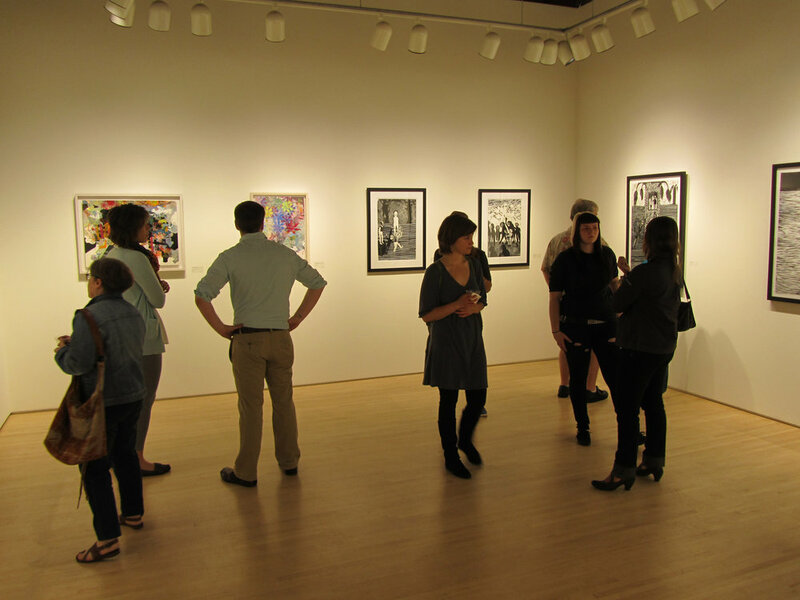 This residency provided the artists 9 months access to Highpoint’s facilities, regular critiques with artists & art professionals, visits to local print collections, and of course, their culminating exhibition which featured screenprints, relief prints, blind embossments, cut vinyl, and a site-specific printstallation. 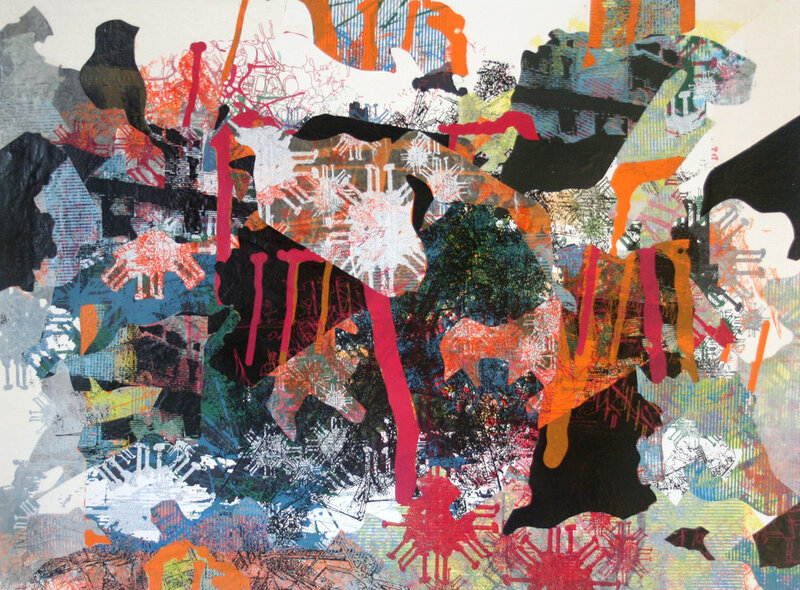 Johnathan McFadden’s abstracted landscape screenprints and installations explore the cacophony of imagery in media news cycles. Building layer upon layer of appropriated & manipulated imagery, McFadden’s visual bombardment of information reflects the accelerated pace and disillusionment rendered by contemporary media outlets. 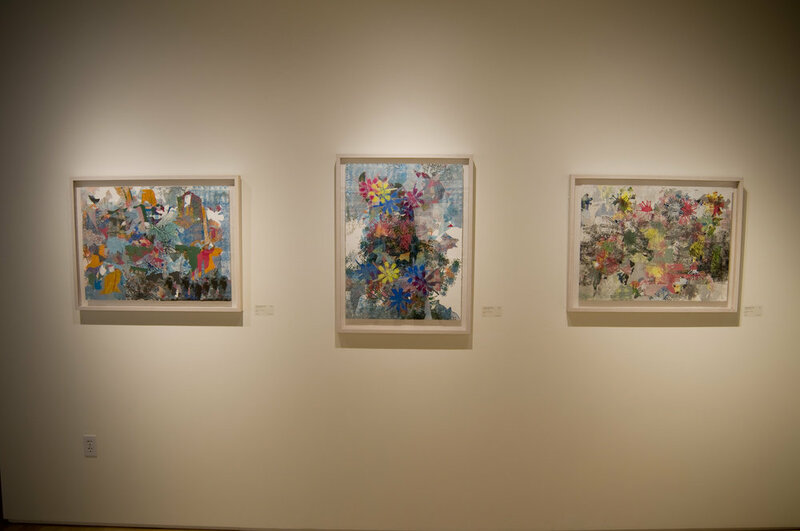 Johnathan received a BFA from Texas State University in 2006 and an MFA from the Edinburgh College of Art in 2009. 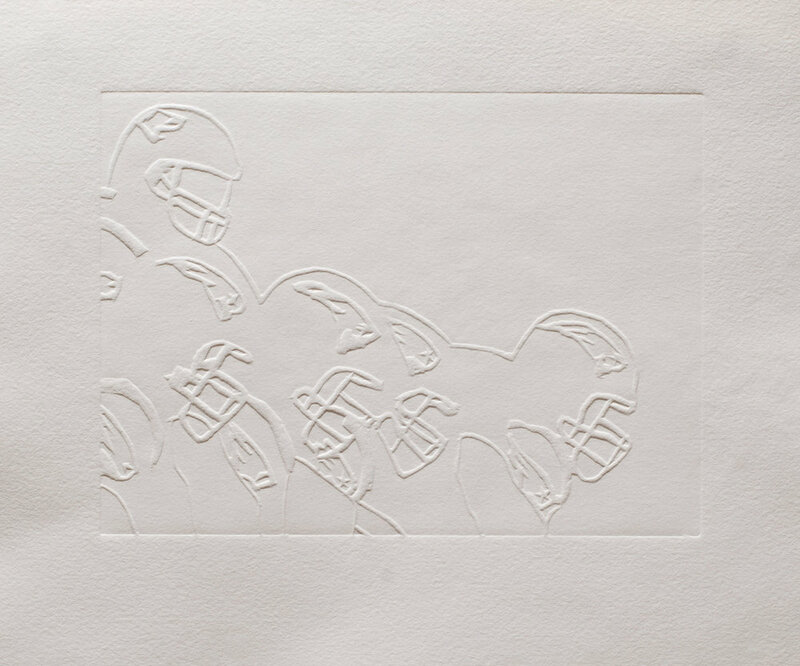 Gwendolyn Comings utilizes the soft subtle quality of blind relief embossings to deconstruct hyper-aggressive images gathered from sporting events. Comings is especially interested in the spectacle of failure when the defeated athelete is unable to fill the role that society has projected on him. Gwen graduated from the Minneapolis College of Art and Design in 2009. 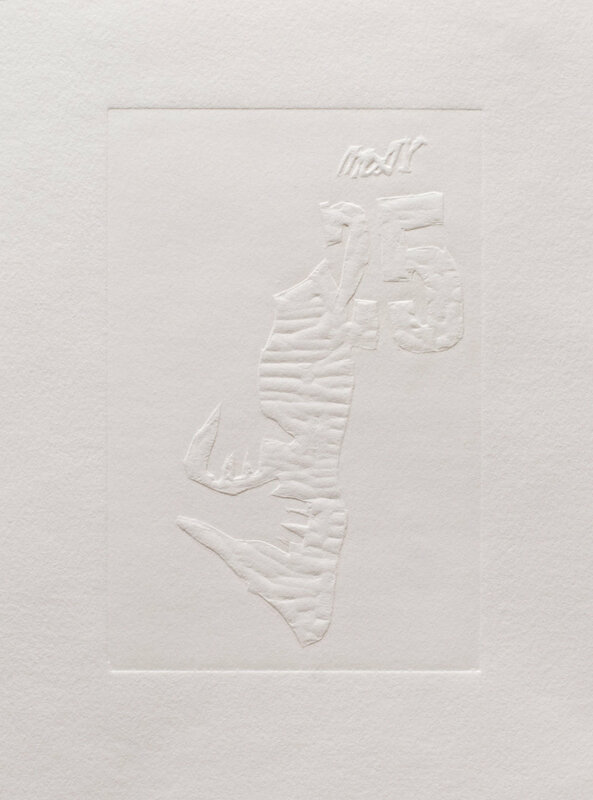 Graham Judd’s relief prints examine the moral conflicts of contemporary American religious culture through symbolic figurative landscapes. 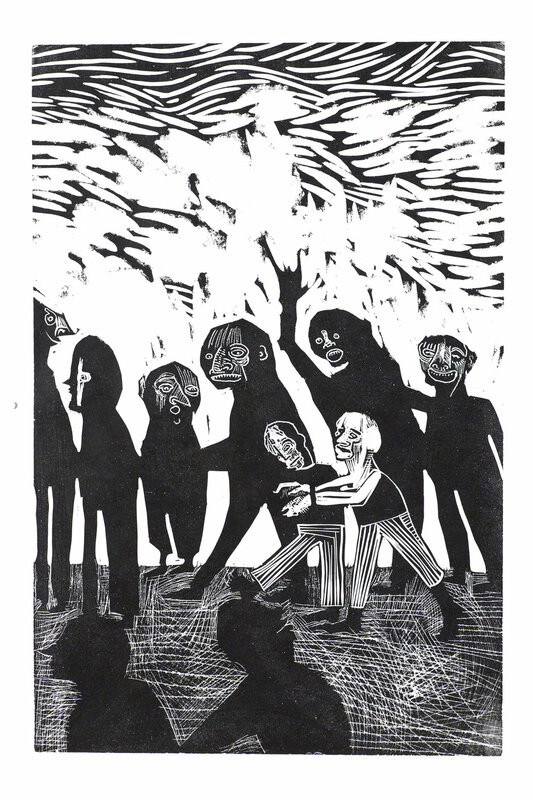 With visual connections to the iconic history of western religious woodcuts, Judd’s graphic carvings reflect his finding of faith in fictional characters from popular culture instead of biblical saints and martyrs. Graham received a BFA from the University of Central Florida in 2009 and an MFA from MCAD in 2011. 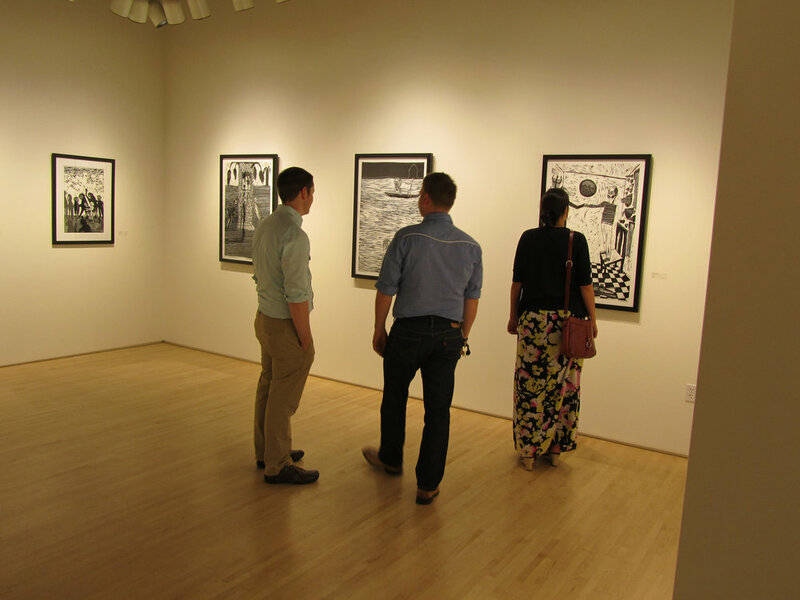 Highpoint would like to thank this year’s Jurors: Sarah Suzuki, Assistant Curator of Prints and Illustrated Books at the Museum of Modern Art, New York, and Christopher Atkins, Minnesota Artists Exhibition Program Coordinator at the Minneapolis Institute of Arts. 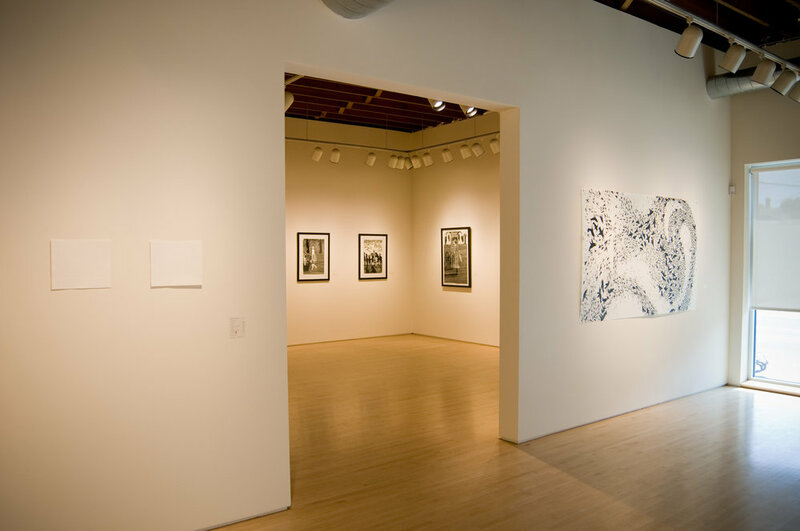 We would also like to thank all 2011–12 Jerome applicants and the Jerome Foundation for making Highpoint’s 9th Emerging Printmakers Residency possible.